In the world of B2B lead generation campaigns, sales leads can be generated from a variety of different sales and marketing initiatives through a broad array of tactics. Outsourced B2B lead generation is a marketing term used to describe the generation of prospect interest or to develop new sales opportunities around a specific product or service. Lead Generation can be utilized for a variety of purposes including the development of brand awareness, targeted contact list building, attendance at key prospect events, appointment setting to existing customers or new white space accounts. Typically B2B lead generation is developed to acquire new revenue from existing or new customers. Businesses strive to generate quantity to support their sales teams with overall pipeline development while always mindfully looking for quality as part of the process. 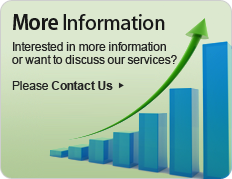 At Extended Presence, we are experts at B2B lead generation and developing new business prospect opportunities. Our best-of-breed Teleprospecting Methodology uncovers qualified sales lead generation opportunities within enterprise to mid-market accounts for your direct or channel sales team. At Extended Presence, we believe in helping our clients achieve excellent sales lead generation results through multiple tactics. Contact us to find out more about our expertise and results with our outsourced B2B lead generation services, including our expansive experience and success with multiple lead generation campaigns.